Is a new blockbuster movie on its way? Oh, there is? Is it called Captain America: The Winter Soldier? Well, that means we can expect Gameloft to come out with a new game for it, and in fact, they have. The game is now available for Android users through Google Play, complete with a price tag of free…kind of. In Captain America: TWS, you play as world’s most patriotic superhero, leading a squad of S.H.I.E.L.D. assault team members, battling baddies from different crime organizations. 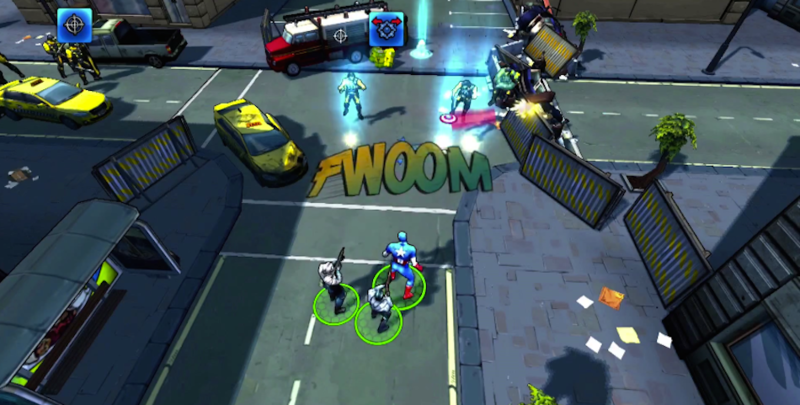 Better yet, when you get into trouble, you can call on a member of the Avengers for help, which is a nice touch by Gameloft. The game features pretty good graphics, as well as a good multiplayer system for fighting baddies with your friends. You can learn new fighting techniques, unlock and upgrade Captain America’s suits, plus research new skills to help your progress through the game faster. The game’s first two levels are free to play, but after that, prepare to whip out your Google Wallet. The full game needs to be purchased for $2.99, then following that, there are additional IAPs. The ol’ bait and switch. For shame, Gameloft.